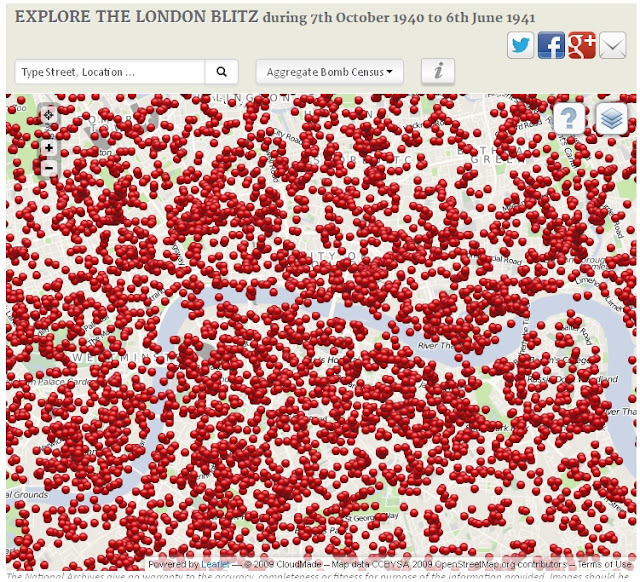 This website has mapped the complete census of bombs that landed on London during the Blitz (Oct 1940-June 1941). Users can search for dates and streets to see details of whne bombs landed. The image below shows how thoroughly London was bombed.